Just got this Honey Bee girl in from Casey Lazik...she's a healthy 1,700 gram girl...hoping she'll be nicely settled in and ready for breeding in a few months. Awesome Rob! What will you be pairing her to? She looks awesome! One of my favorite morphs. Hypo is AWESOME! Thank you! 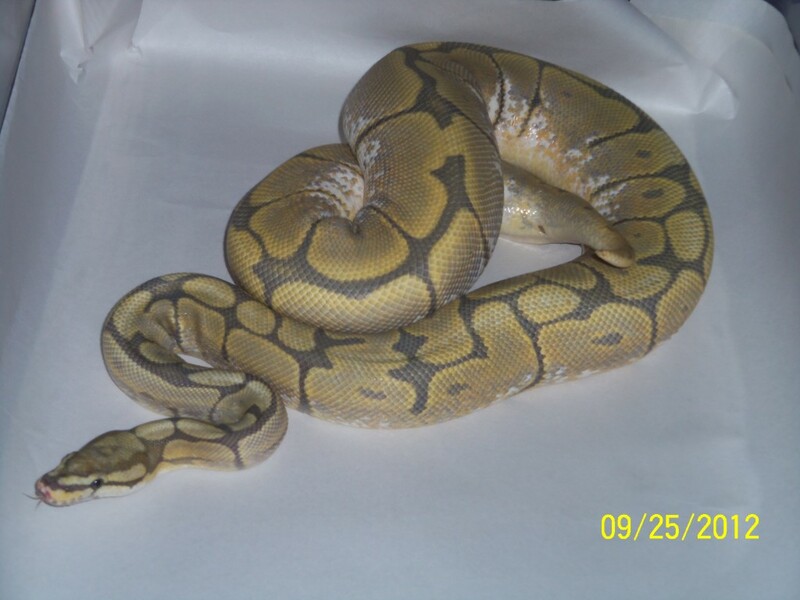 I'll be putting an enchi hypo male to her...or maybe a jigsaw het hypo...we'll see! Thanks Andy, hypo is awesome! Gorgeous! I just got a het ultramel pair from Casey last week and had a great experience.